The first URL of the Month is The Apollo Lunar Surface Journal located at http://ees.lanl.gov/APOLLO. This site is a record of the lunar surface operations conducted by the astronauts who landed on the Moon between 1969 and 1972. The record contains transcripts of all recorded conversations between the lunar surface crews and Ground Control as well as extensive commentary provided by the Editor, Eric M. Jones of Los Alamos National Laboratory, and ten of the twelve moonwalking astronauts. So far the site contains releases of comprehensive text for Apollos 11, 12, 14, and 17. Apollo 15 should be availabe this Spring and next fall Apollo 16 will be online. Photos, maps, equipment drawings, background documents, voice tracks, and video clips will also be included in the near future. 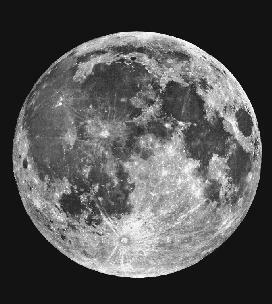 This site is great for anyone who is interested in the lunar expeditions and the reasons behind them all -- definitely a must-click. The next URL of the Month is Saturn Ring Plane Crossings of 1995-1996 located at http://newproducts.jpl.nasa.gov/saturn/saturn.html. This site provides dates for upcoming ring plane crossings and news flashes concerning Saturn-related discoveries. Also located at the site is a FAQ (Frequently Asked Questions) link, a historical background link, images, animations, and links to other Saturn home pages. This site is maintained by Ron Baalke of JPL.